Chestermere’s first residential development in the westward expansion plan will bring future growth to community. 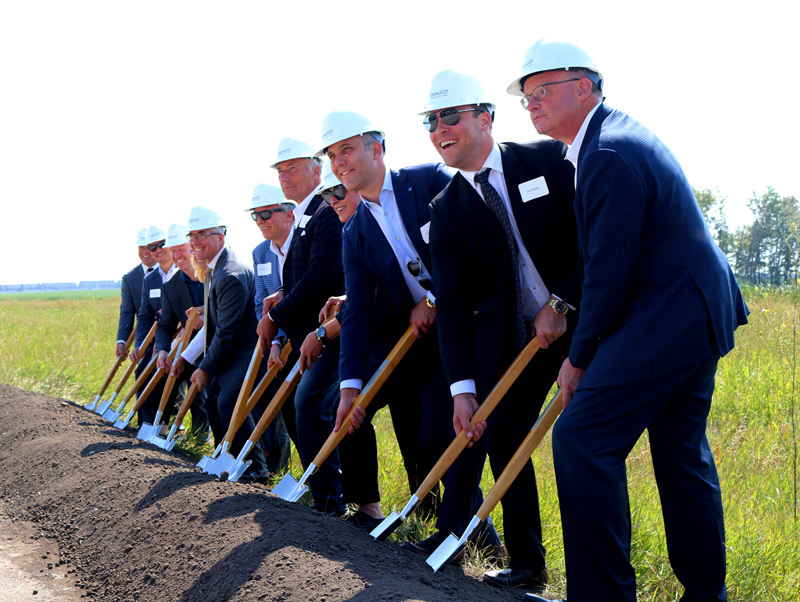 Approximately 70 special guests including council members, developers, and builders watched as the ground was broken to begin the new Dawson’s Landing residential development on Aug. 14. The development has been in the planning stages for around two years. “We anticipate [Dawson’s Landing] will be a key part in the future growth of our community,” said Mayor Marshall Chalmers. “As council our primary goal is to create a physically and socially safe community. We believe that Dawson’s Landing will fit that vision very well, and we look forward to having it come to life,” Chalmers said. Chalmers added, keeping the Eco park that is already a part of the Dawson’s Landing area is important to the community. “Naturalized areas will be prominent in Dawson’s Landing,” said Marketing Coordinator for Qualico Communities Laura Field in an email interview. The 30-acre Eco park will feature a boardwalk, and education areas for students, and residents to use, she added. “We plan to build new communities for the benefits of those who live work, and play in them,” said Vice President of Qualico Claudio Palumbo. He added, “The city of Chestermere is already a vibrant and active community with lots of amenities and open spaces for people to enjoy, and we intend to add to it. Field added, the city of Chestermere is currently in the works of deciding what will be in the recreation centre and when. “Chestermere is a growing vital city. The city’s administration has been so welcoming and have been proactive in bringing investment to the city,” said Associate Director of Development with Qualico Communities Clark Piechotta. “It became apparent that Chestermere is an obvious place to develop a great community for people to call home,” Piechotta added. “Welcome to our community with arms open and look forward to moving forward,” said Chalmers.